H.E. Mrs. Vivian N. R. Okeke, Ambassador of Nigeria to Austria and His Excellency, Prof Yemi Osibanjo, Vice President of the Federal Republic of Nigeria on the occasion of the Africa Union - Europe Union Summit held in Vienna Austria. H.E. 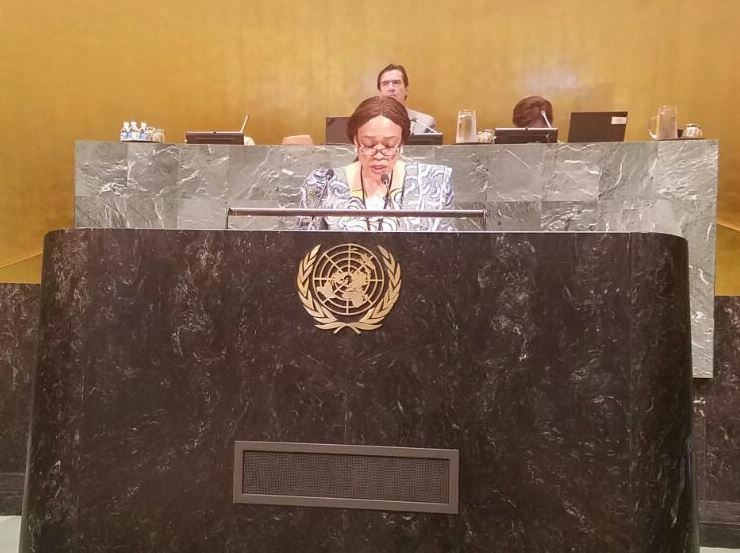 Mrs. Vivian N. R. Okeke, Permanent Representative presenting Credentials to H.E. Yuri Fedotov, Director General (DG), United Nations Office Vienna / Executive Director (ED), United Nations Office on Drugs and Crime (UNODC). Her Excellency. 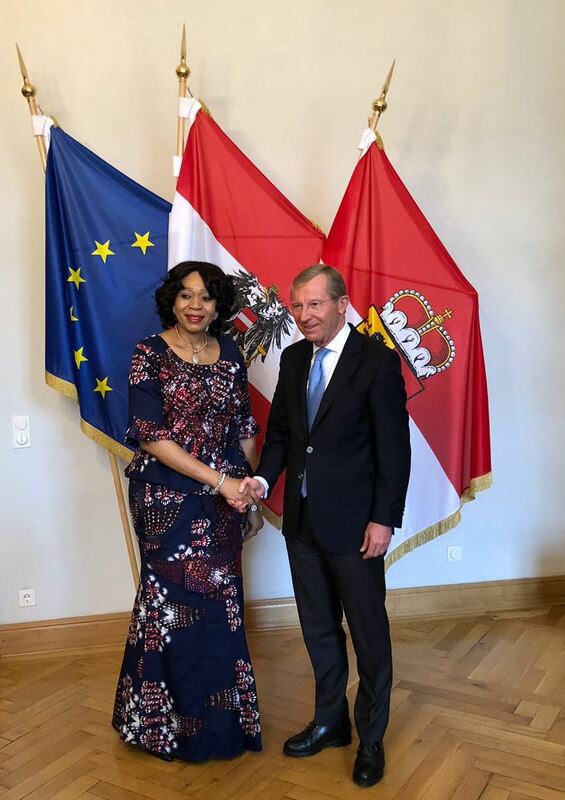 Mrs. Vivian N. R. Okeke, Ambassador of Nigeria on the occasion of the Economic and Trade visit to Dr. Wilfried Haslauer, Governor of the Federal Province of Salzburg, Austria. H.E. 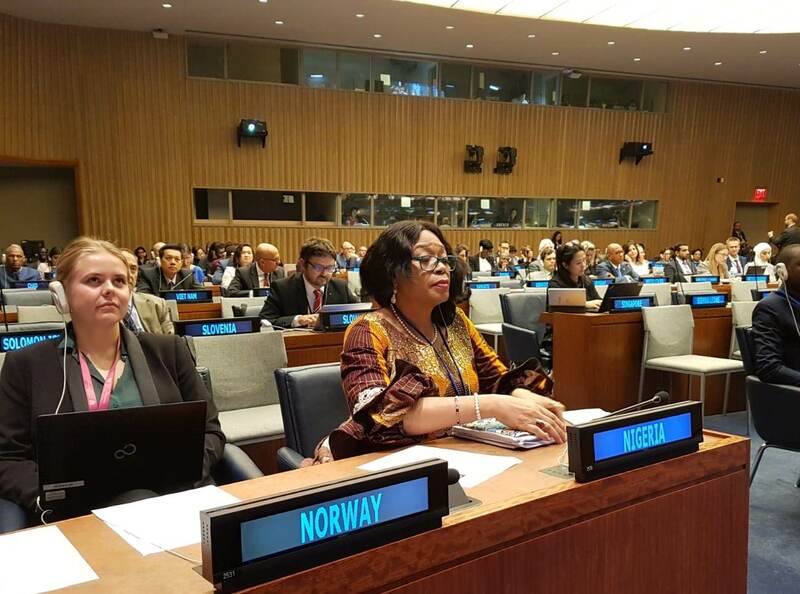 Mrs. Vivian N. R. Okeke, at the International Dialogue for Peace organized by the Kaiciid Dialogue Center in Vienna. In attendance were: H.E. Alhaji Saad Abu-Bakr (III), Sultan of Sokoto, Rev. Dr. Ayokunle, President of the Christian Association of Nigeria (CAN), Bishop John Onaiyekan and Bishop Coker. H.E. Mrs. Vivian Okeke, Ambassador of Nigeria to Austria, during a key note speech on the occasion of Nigerian Art exhibition organized in collaboration with OPEC Fund for International Development (OFID). In attendance were H.E. Ibrahim Jibril, Nigerian Minister of State for Environment and H.E. Suleiman Aj-Herbish, DG, OFID.